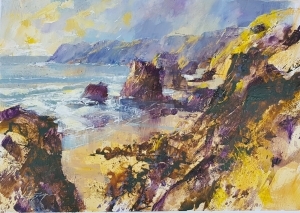 Chris Forsey RI will be demonstrating his painting techniques in the gallery and answering questions, from 11am until 4pm. 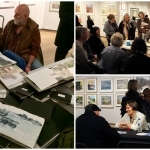 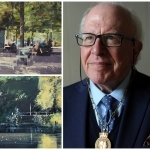 Ian Sidaway RI will be showing his sketchbooks and answering questions about his work and techniques. 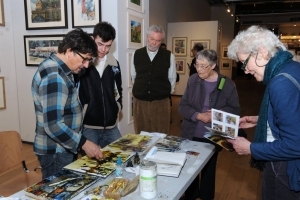 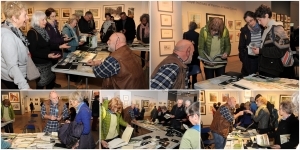 Image: Visitors flocking to marvel at Ian’s wonderful sketchbooks last week!